I am focused on providing lasting memories with the highest levels of customer satisfaction and I will do everything I can to meet your expectations. You may have seen me in and around the Jacksonville, Florida area. I have access to the military installation for any function you may dream up. I am a member of the Internal Brotherhood of Real Bearded Santas, Palm Tree Santa's, and maintain an annual background checks. Santa is a Mason, Eagle Scout, and Retired Military. Therefore, I have clearance for military base functions. With a variety of offerings to choose from, I am sure you'll be happy working with me. Not only are my services available during the Christmas Season; I am also available all year, such as the Tropical Santa, and Birthday Party. Santa Claus does enjoy the Florida sunshine and the beaches. 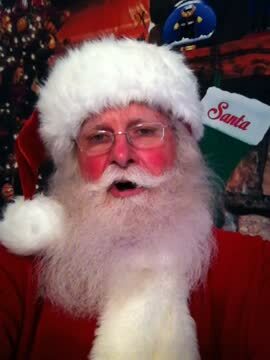 I am commonly known as Santa Claus, Santa Jacksonville and Tropical Santa. Also Santa Claus loves everyone. I can be contacted at [email protected]. Look around my website and if you have any comments or questions, please feel free to contact me. I hope to see you again! Check back later for new updates to my website. There's much more to come! Be Merry and have a Wonderful Christmas.